Built on the lush banks of the River Dee, the historic City of Chester was founded by the Romans in AD79. 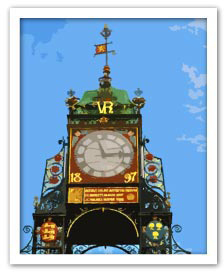 It is arguably the richest city in Britain for archaeological and architectural treasures. The Chester Rows are a beautiful and unique feature as nothing similar can be found anywhere else in the world! Chester’s trendy bars, shopping hotspots and myriad of cobbled streets make the ideal setting for your next team away day. The imposing Chester Castle stands on the edge of the Roman city walls overlooking the tranquil waters of the River Dee and a short stroll away sits Chester Cathedral and the Roman Amphitheatre, a focal point of the arts in the city. With so many interesting areas and landmarks, the city lends itself well to a fun filled and engaging iSpy event. Whether it’s a medieval murder mystery you are planning or a delicious culinary themed event, our sales team can help on 0845 006 06 06. Our free venue finding service is yet another reason to get in touch. The Macdonald New Blossoms Hotel is one of the oldest hotels in Chester. First opened in 1650, it perfectly blends period charm with modern luxury. With well-equipped function rooms and individually styled bedrooms; it’s a great choice for a team build in Chester. The Crowne Plaza Chester offers 11 meeting rooms with a capacity for up to 600 guests. A contemporary hotel conveniently positioned within the walls of this historic city, it also boasts 160 guest rooms, a Health and Fitness centre, restaurant and lounge bar. 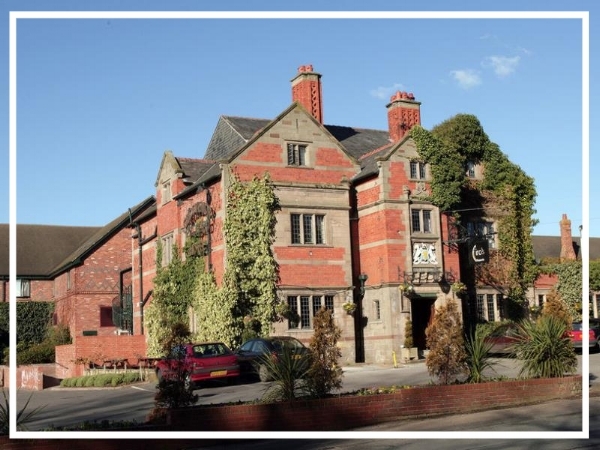 This privately owned Chester hotel & spa is ideally located just a five minute drive from the city centre. Set in it’s own grounds, the Grosvenor Pulford Hotel & Spa can accommodate any event from a fantastic outdoor team build to a sophisticated evening murder mystery.